In order to download an app in iTunes you will need an Apple ID. No credit card or other billing information is requested. 1. 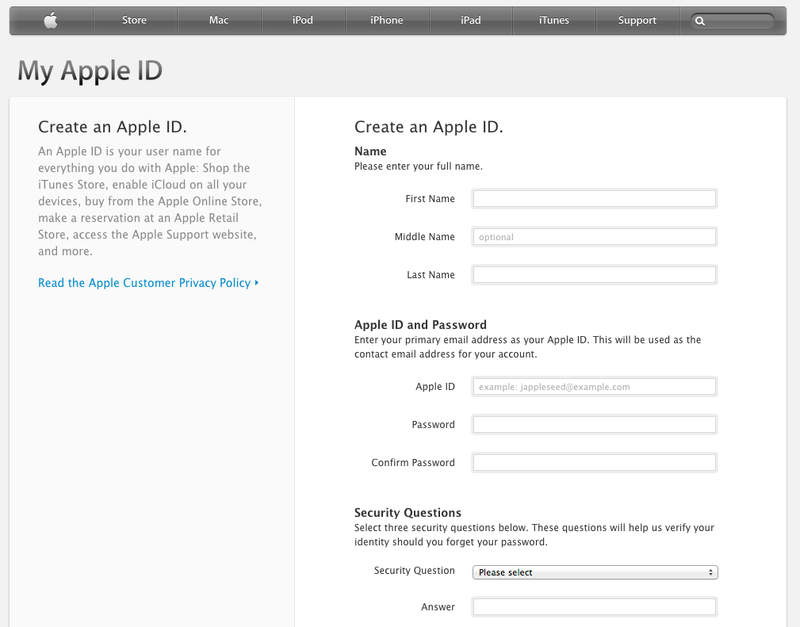 Go to Apple’s website at www.apple.com, select Support, click on the Apple ID icon, choose the Sign in to my Apple ID button and then Create an Apple ID. 2. Complete the fields with your information. 3. 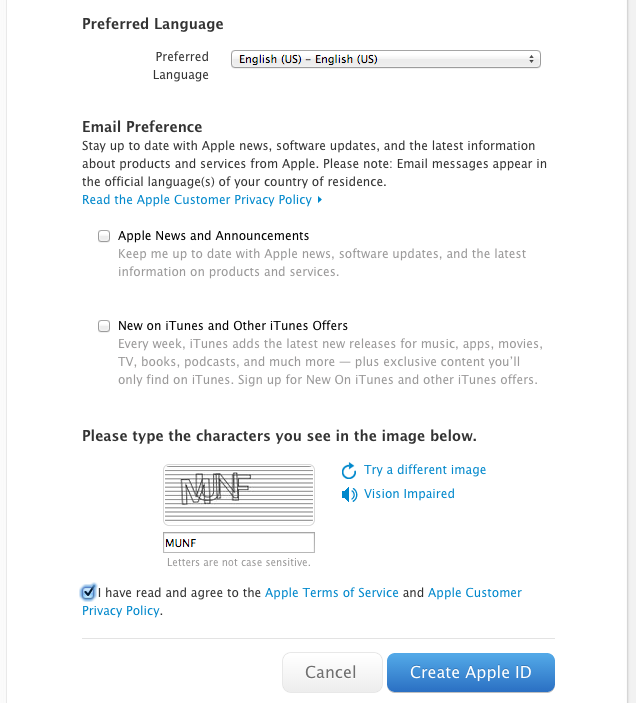 Select your preferences, confirm that you are a human by keying in the characters in the CAPTCHA field, check the box once you read the Terms and Conditions and then click in Create Apple ID when ready. 4. The last step is to verify your account by clicking on a link in an email sent immediately to your inbox (it should be waiting for you). Once you verified the account you can use your Apple ID to download apps.